There is one mystery that ancient astronaut theorists point out for many years. How did the ancients move stone giants that weigh several hundred tons. While in the 1970s and 1980s archaeologists didn't have an answer to this question, it seems that in the last 20 years the conservative archaeologist fraction seems to have more and more influence. They proclaim most of the mysteries are solved or no mystery at all. But if we look more closely, some of the archaeologists' theories are so far fetched, the PaleoSeti Theory seems as rational as 1+1=2. 1. We know the outcome. A solution to a problem is much easier, if you know how the end result has to look like. 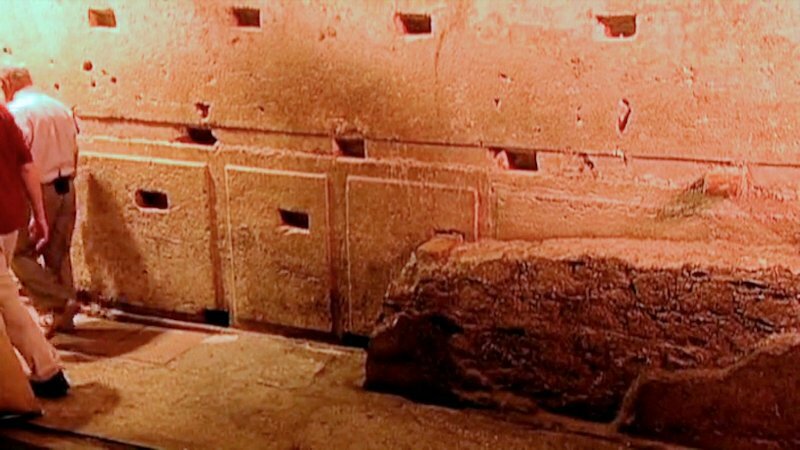 We can plan ahead as we have plenty of references over thousands of years of construction and know what works and what doesn’t. 2. Our modern experiments require extensive planning. The project leads are using pen and paper, do calculations with computers, talk to engineers, carpenters, stone masons. But our ancestors didn’t have pen and paper or computers. Or do we all over sudden assume the ancient people had higher mathematics and script for planning? Isn’t exactly that what modern archaeology says, the ancients didn’t have? 3. Like I said before, the theories are usually tested with a group of healthy, young and enthusiastic students. After a day of hard studying they go home to mom and dad and a nice cooked meal - that mom bought in the supermarket – is on the table. Or a nice Microwave dish. Healthcare is provided – of course – and for every boo-boo they go to the hospital, like we all do. During the experiment you usually see an Ambulance parked in the background, just in case. The experiment is conducted on a nice Saturday afternoon and if it’s raining that day, it’s going to be postponed. But the Ancients didn’t have all those luxuries. Healthy members of the society (back then there was a life expectancy of 40-50) where needed to provide food for their families. If an accident happened during construction, no ambulance was there to help. If somebody got crushed or badly injured by a stone, how did that reflect on the worker’s enthusiasm? How is the motivation after a rainy day or a week of rain? Clothes are soaked and the wind is blowing with 8 degrees Celsius. Do that for weeks, months and years. Because that is what it takes to transport the Bluestones of Stonehenge from their quarry in Wales to where the stones are now. How does the food available in the Stone Age affect a worker’s daily ability to work? How many thousands of people are needed to provide the infrastructure needed to accommodate, cloth and feed the workers? Or do we assume that all several hundred men of the community just said to their families “Guys we are going to a place far away to fetch some huge stones. We will be back in a few years…”? All of the above questions are not addressed during those experiments. They are not even asked. That’s what makes those experiments pure speculation at best. Don't get me wrong I admire the ingenuity of experimental archaeology and it has great value in other projects, like daily life, dying colors, weaving textiles and similar tasks. But transporting megastones? I have not seen any convincing explanation, yet..
High above the Peruvian City of Cusco is the ancient Inca fortress of Saqsayhuaman. 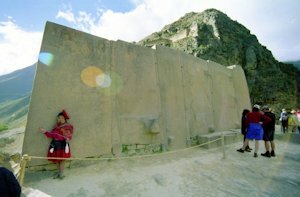 Over 600m long and built in three layers with gigantic stones that are worked into each other with mind numbing precision, these walls take a visitor's breath away. It is not only a mystery how the stones were transported but how the ancient builders where able to fit them together with such an accuracy, that not even a credit card could fit in between the stones. 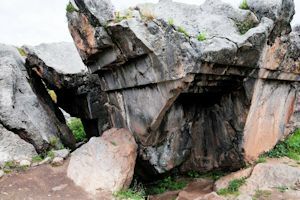 On the opposite side of the Fortress lie gigantic rocks of a different nature. Mysterious and completely inexplicable, they defy logic and reason if one doesn't consider the ancient astronaut theory. 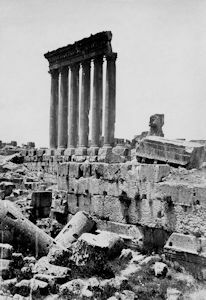 ...There are major problems with the notion that the Romans are responsible for building the gigantic plattforms that the temples of Baalbek rest on. There is no doubt, though, that the UPPER structures are roman. I'm only talking about the base stone plattforms. 1. 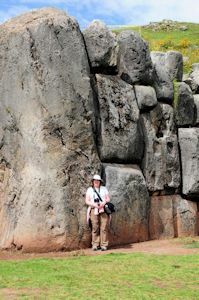 The biggest problem is that there is no historical context that the Romans ever used such gigantic stones. There are tens of thousands of Roman sites all over Europe and not once did they use gigantic stones like in Baalbek. Not even in Rome itself. 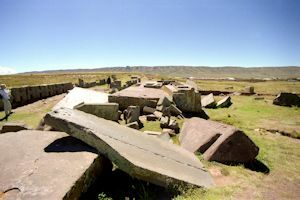 It's this historical context that archaeologists always want when they look at alternative theories like Graham Hanckock's Lost Civilization Theory. And it was the main point of the Egyptologists when they tried to make a case against Geologist Robert Schoch when he found out that the Sphinx is much older then currently accepted. 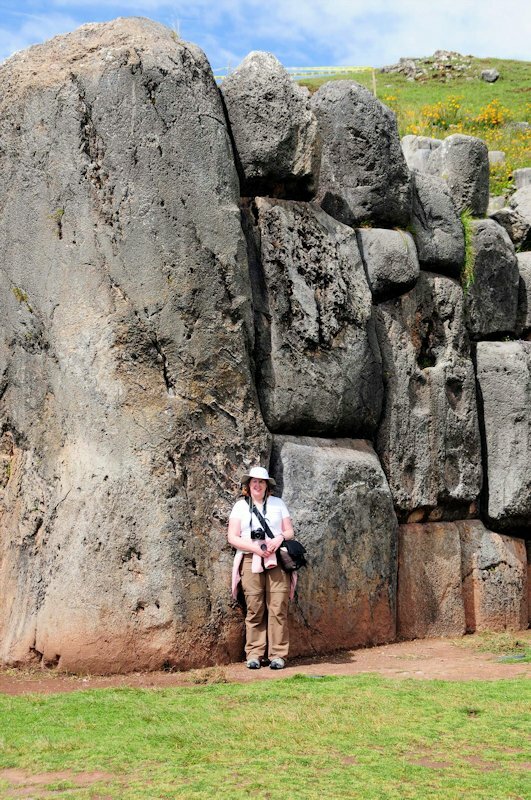 So the question "Where are similar Roman ruins with the same gigantic blocks?" has to stay unanswered. There is usually a long silence in the room when it is asked. 2. 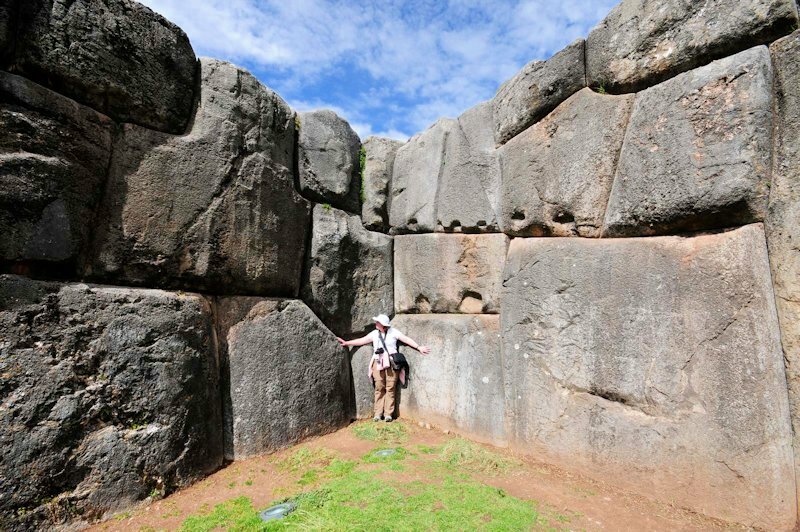 The gigantic plattforms are total "overkill" for the comparably small temples on top. The Romans were smart cookies and knew exactly what they were doing. 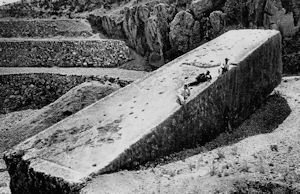 They would have been stupid enough to go through all the trouble of moving gigantic blocks like these, if they didn't absolutely had to. A close cousin to the site of Baalbek (see above) is the temple mount in Jerusalem. 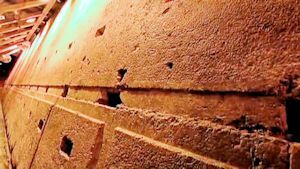 Not a lot of people are aware that the foundation of the old temple was built with stones just as enormous as the ones from Baalbek. Stay tuned for more info. Please read the Ollantaytambo page for more information. Im Puma Punku in Bolivia, we can not only find very technical looking stone carvings, but also gigantic megastones, like the ones in the photos to the left. 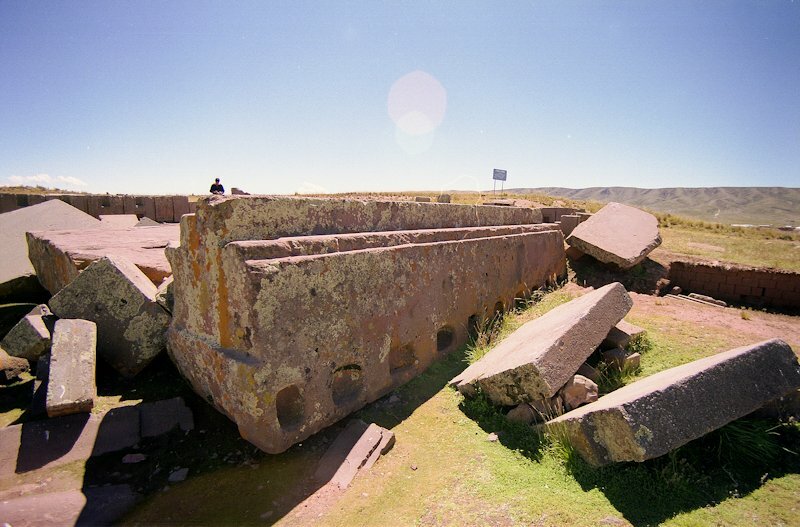 Six hundred tons is the weight of the big one in the top photo. Nobody knows how they were transported there. The so called "bluestones" of Stonehenge are enormous boulders, shaped and erected in the Stone age around 2600 BC. 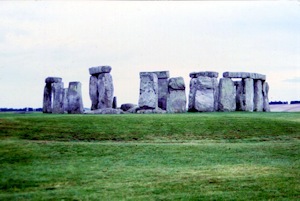 The site contains different sizes of stones, some of which are certainly manageable by working groups in the Stone age. The problem with the big stones of Stonehenge is that they come from a place that is roughly 250km away from the site. 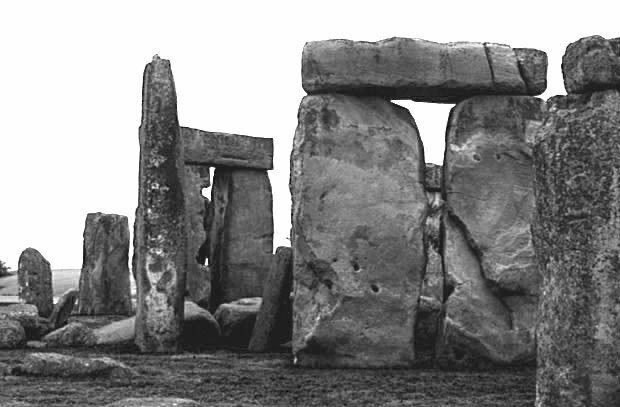 This was always the 'big puzzler' for the construction of stonehenge that Archaeologists just did not find a solution for. Pretty much every explanation stopped with this problem. But instead of looking into the PaleoSeti or lost Civilization Theories that offer perfectly good explanantions to the problem, people try to really grasp for straws. The newest Theory is now that glaciers pushed the stones from the 250km distant quarry to the site (or at least close(r)). Now that's convenient! 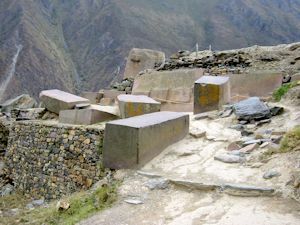 We can't fidure out how the ancients transported stones because we do not want to look at the ancient astronaut theory or admit that the ancients had more advanced tools, so we let nature do the work for them!